Be the first to hear about their new releases and deals. 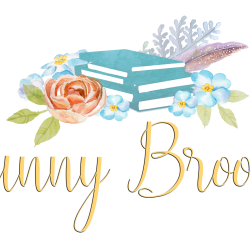 Download the Booksprout app and search for Sunny Brooks today! Sunny Brooks is a best selling "Clean & Wholesome" and "Short Reads" Author. For many years Sunny worked in the theater, producing period plays and productions, on everything from scrappy little stages to sold-out amphitheaters. Through it all, she has found that one thing remains the same, a fantastic story is always moving regardless of budget, production quality, or costumes. Sunny now brings those stories of inspiration, heartache, redemption, strength and overcoming adversity to an even wider audience through her books. When she is not writing she tries desperately to master the art of baking pies and spends a whole lot of time reading (you guessed it) romantic novels!